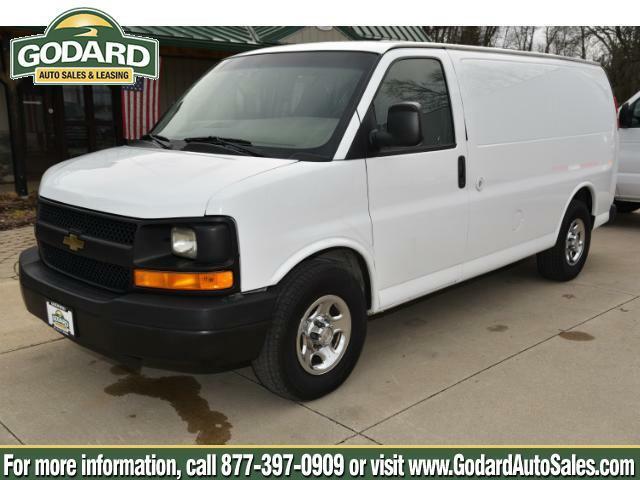 RWD 2500 135", Passenger, fleet maintained one owner highway driven miles. 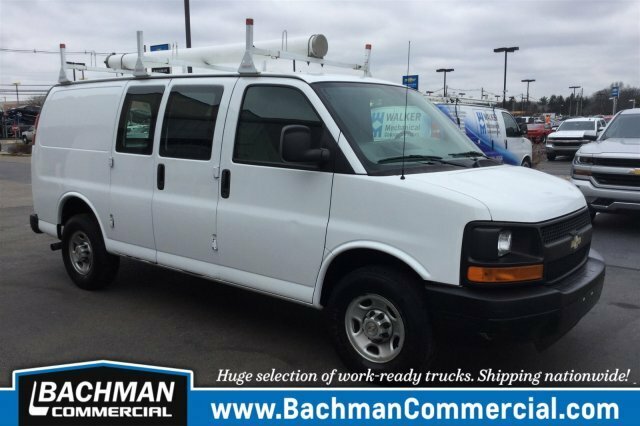 This 3/4 ton full size cargo van looks runs and drives like new. Serving Ct in this location for over 28 years. Financing, warranty. Why pay more? 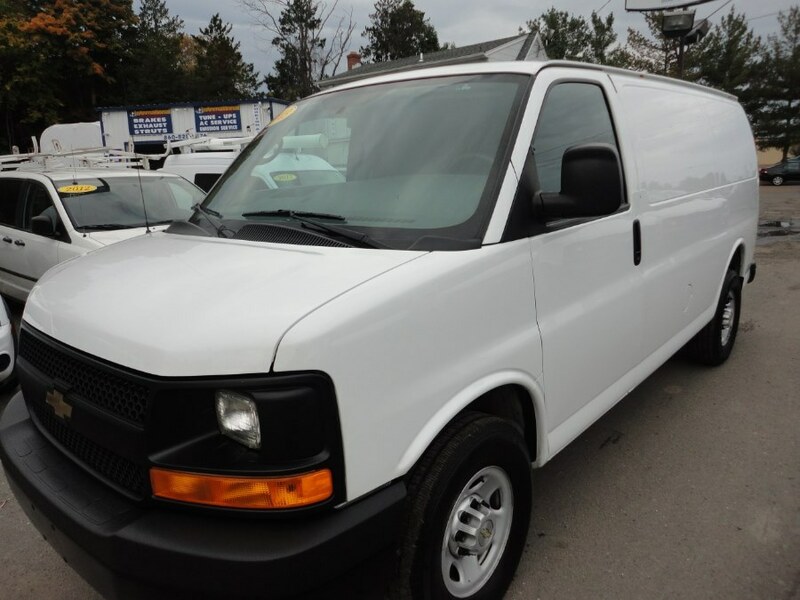 RWD 1500 135", Passenger, SUPER CLEAN WELL MAINTAINED! Only 43k miles equipped with power windows and locks. Serving Ct for over 28 years in this location. Financing available. Warranty! Trades. wHY PAY MORE? 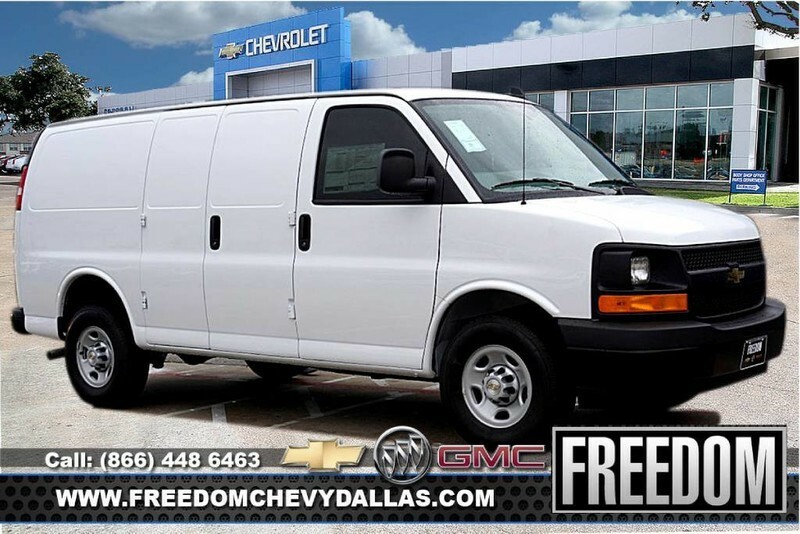 , Freedom Chevrolet serves the Dallas Fort Worth Arlington and surrounding areas! 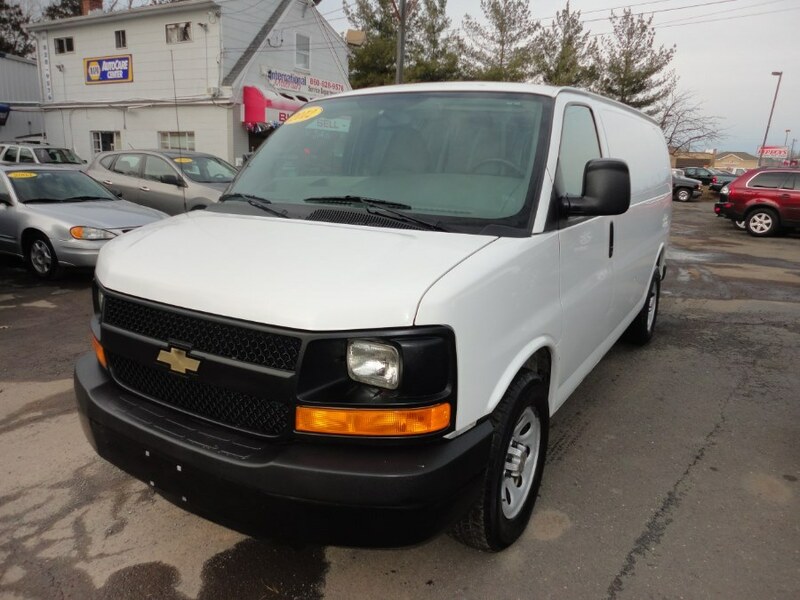 Selling the hottest Chevrolet Buick GMC models at the lowest prices! 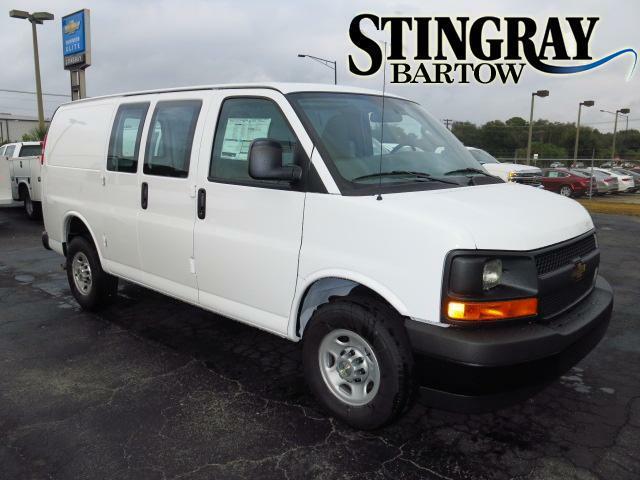 With over 800 Vehicles on the ground and a great selection of Certified Pre-Owned you are sure to find the one for you! 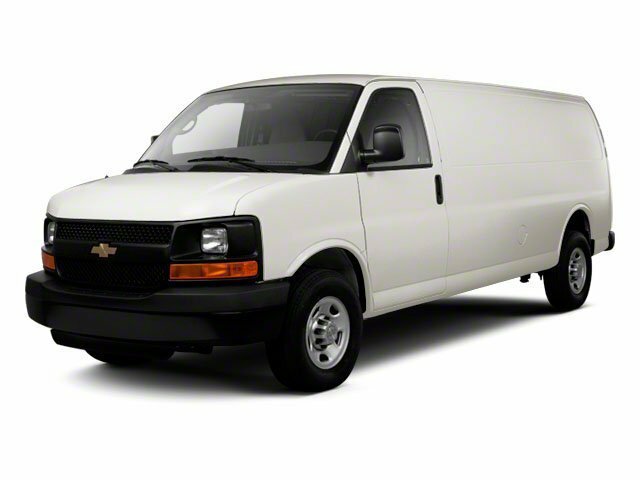 This Chevrolet includes: CONVENIENCE PACKAGE, TILT-WHEEL AND (K34) CRUISE CONTROL Cruise Control Adjustable Steering Wheel SEATING ARRANGEMENT, DRIVER AND FRONT PASSENGER HIGH-BACK BUCKETS Bucket Seats SEATS, FRONT BUCKET WITH CUSTOM CLOTH TRIM Cloth Seats Bucket Seats ENGINE, VORTEC 4.8L V8 SFI 8 Cylinder Engine Gasoline Fuel VISORS, DRIVER AND FRONT PASSENGER REAR VISION CAMERA Back-Up Camera TRANSMISSION, 6-SPEED AUTOMATIC, HEAVY-DUTY, ELECTRONICALLY CONTROLLED Transmission Overdrive Switch A/T 6-Speed A/T EMISSIONS, FEDERAL REQUIREMENTS REMOTE KEYLESS ENTRY Power Door Locks Keyless Entry BLUETOOTH FOR PHONE, PERSONAL CELL PHONE CONNECTIVITY TO VEHICLE AUDIO SYSTEM Bluetooth Connection STEERING WHEEL, LEATHER-WRAPPED Leather Steering Wheel ONSTAR GUIDANCE PLAN FOR 6 MONTHS Telematics Navigation from Telematics *Note - For third party subscriptions or services, please contact the dealer for more information. 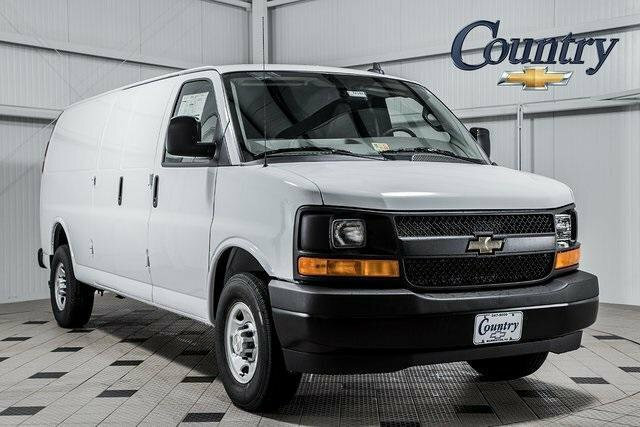 * The 2017 Chevrolet exterior is finished in a breathtaking Summit White, while being complemented by such a gorgeous Medium Pewter interior. This color combination is stunning and absolutely beautiful! You've found the one you've been looking for. Your dream car. 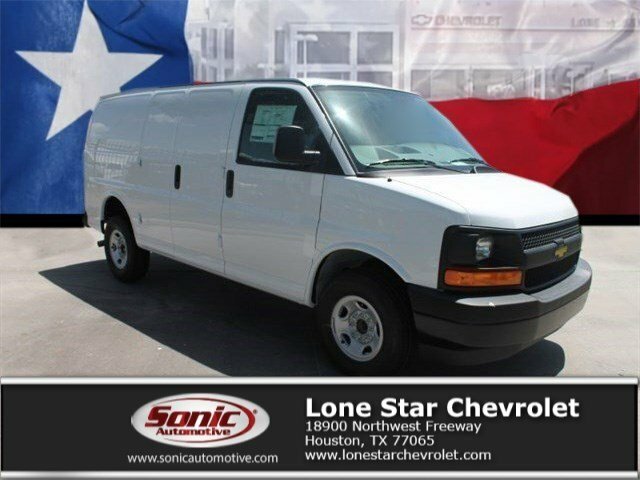 There is no reason why you shouldn't buy this Chevrolet Express Cargo Van . It is incomparable for the price and quality. Make sure and to ask for someone in our Internet Team to get your VIP Treatment and top of the line Customer Service! Thank you for viewing one of our Prestine Vehicles here on our virtual showroom at Freedom Buick Chevrolet GMC! 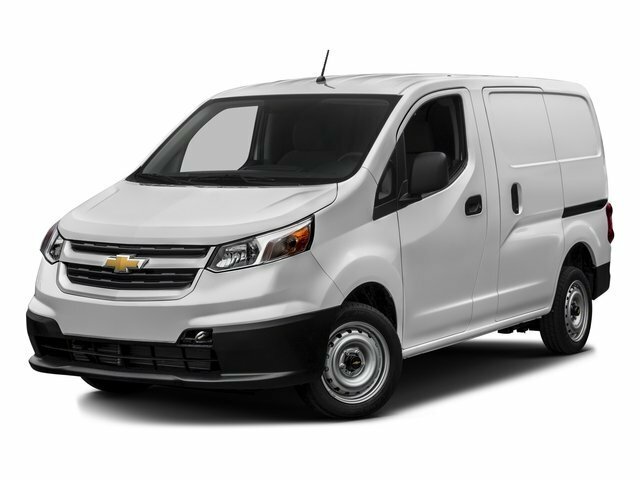 Stock Number: 66643, CARGO VAN, Van, EXPRESS 2500 * CARGO VAN * 4.8 V8 * AUTOMATIC - HABLAMOS ESPANOL.... PREGUNTE POR JOHANA RIOS (540) 347-9929...... FINANCIAMIENTO DISPONIBLE... ACEPTAMOS TODO TIPO DE CAMBIO DE CARROS Our inventory includes vehicles with many options, from (3rd Row Seats CD Player Cruise Control DVD Player Portable Audio Connection Premium Audio Security System Backup Camera Keyless Entry Heated Seats Bluetooth Hands-Free Leather Seats Lift Kit Navigation Power Mirrors Rear Window Multi-zone Climate Control Premium Wheels Power Locks Power Windows Defroster Side Curtain Airbags Sunroof Tilt/Telescope Steering Wheel Steering Trailer Hitch Disability Equipped Wheel Controls Traction Control Heated Seats 2 wheel drive 4WD/AWD - , Contact Will Campos at 888-989-8334 or sales@29auto.net for more information. 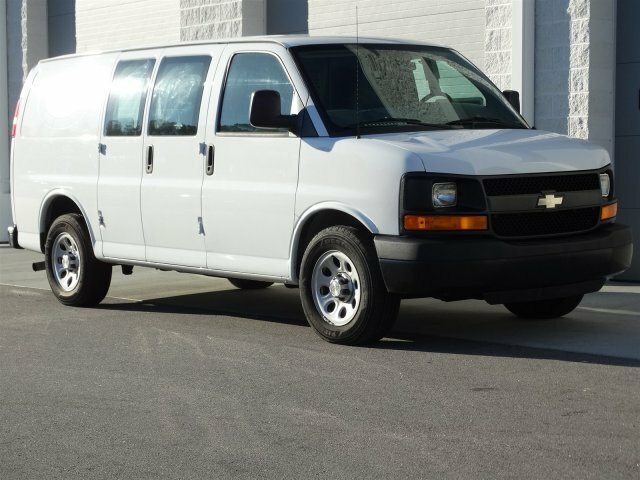 Stock Number: 77149, EXTENDED, Van, EXPRESS 2500 * EXT WHEELBASE * 6.0 V8 * AUTOMATIC - HABLAMOS ESPANOL.... PREGUNTE POR JOHANA RIOS (540) 347-9929...... FINANCIAMIENTO DISPONIBLE... ACEPTAMOS TODO TIPO DE CAMBIO DE CARROS Our inventory includes vehicles with many options, from (3rd Row Seats CD Player Cruise Control DVD Player Portable Audio Connection Premium Audio Security System Backup Camera Keyless Entry Heated Seats Bluetooth Hands-Free Leather Seats Lift Kit Navigation Power Mirrors Rear Window Multi-zone Climate Control Premium Wheels Power Locks Power Windows Defroster Side Curtain Airbags Sunroof Tilt/Telescope Steering Wheel Steering Trailer Hitch Disability Equipped Wheel Controls Traction Control Heated Seats 2 wheel drive 4WD/AWD - , Contact Will Campos at 888-989-8334 or sales@29auto.net for more information. 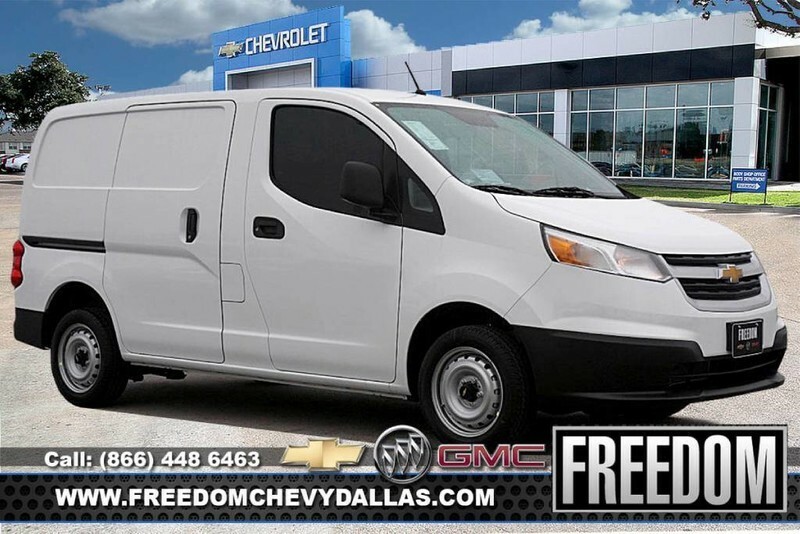 LS, Freedom Chevrolet serves the Dallas Fort Worth Arlington and surrounding areas! 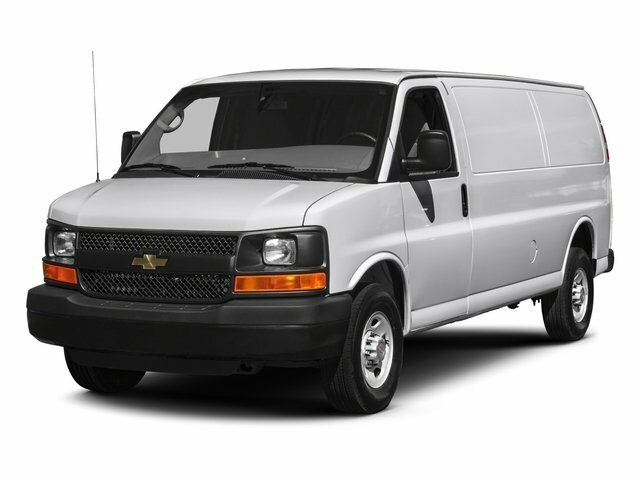 Selling the hottest Chevrolet Buick GMC models at the lowest prices! 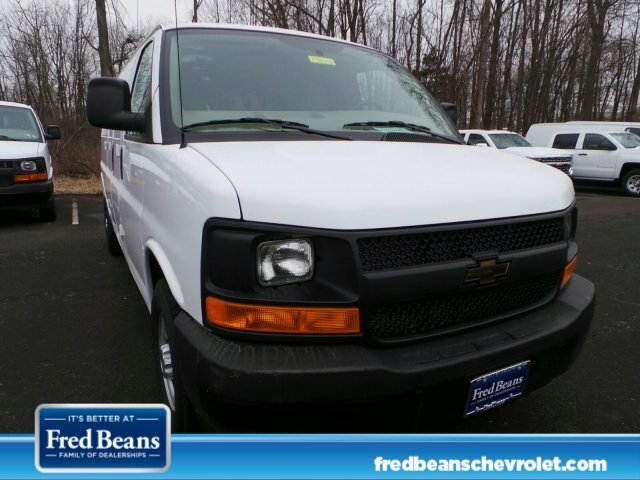 With over 800 Vehicles on the ground and a great selection of Certified Pre-Owned you are sure to find the one for you! 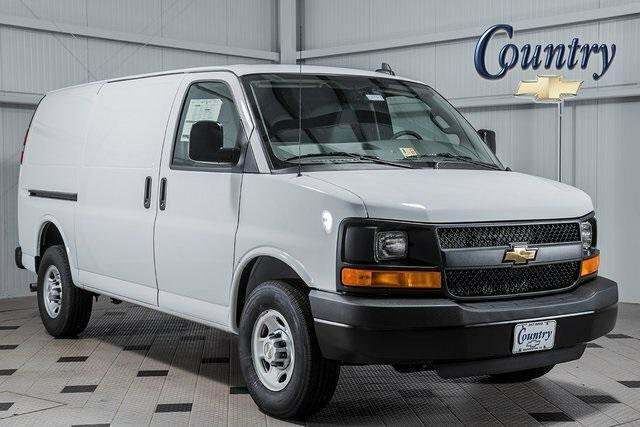 This Chevrolet includes: CRUISE CONTROL Cruise Control ENGINE, 2.0L DOHC I4 4 Cylinder Engine Gasoline Fuel GLASS, DEEP TINT, REAR DOORS Privacy Glass Rear Defrost LPO, ALL-WEATHER FLOOR MATS, BLACK Floor Mats TRANSMISSION, XTRONIC STEPLESS GEAR (STD) CVT Transmission A/T EMISSIONS, FEDERAL REQUIREMENTS BLUETOOTH FOR PHONE, PERSONAL CELL PHONE CONNECTIVITY TO VEHICLE AUDIO SYSTEM Bluetooth Connection *Note - For third party subscriptions or services, please contact the dealer for more information. * You can finally stop searching... You've found the one you've been looking for. This is about the time when you're saying it is too good to be true, and let us be the one's to tell you, it is absolutely true. You've found the one you've been looking for. Your dream car. Make sure and to ask for someone in our Internet Team to get your VIP Treatment and top of the line Customer Service! Thank you for viewing one of our Prestine Vehicles here on our virtual showroom at Freedom Buick Chevrolet GMC!